Happy Monday everyone! How are you guys doing? The first week of my one-month vacay can't get any better so far. I'm currently spending quality time with my favorite people on earth: my family. It still feels so surreal seeing them and actually talking to them in person again. I can't believe it's been a year and nine months since the last time I saw them! Anyway, my days are now filled with so much fun bondings and of course, good food! 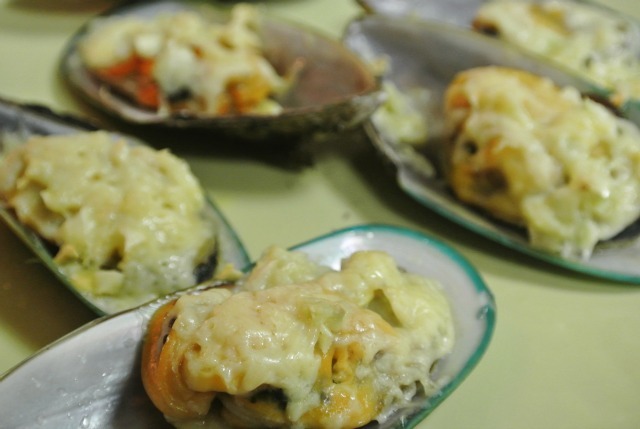 Just last week I've tried the yummiest baked fresh mussels ever! A winning combo of cheese + garlic which tasted so amazing and they're super easy to make too. 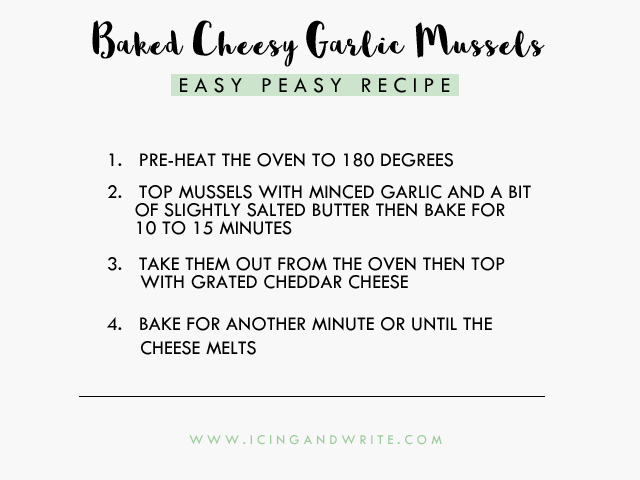 You will be needing some fresh clean open mussels, slightly salted butter, minced garlic and grated cheddar cheese. Mussels are a great protein source low in fat and calories. They're even rich in essential nutrients that can help you combat fatigue and even depression. In short, they belong to the "happy food group" and they're definitely good for you! Let me know in case you try these out too! I also shared some of my easy peasy recipes for fried shanghai rolls and crispy fried okra here and here. Oh Aizzing, this looks so delicious! Funny - I've always lived at or fairly close to the coast, so I absolutely love most kinds of seafood. Yet, I've never even thought once to cool mussels myself. Yum! !